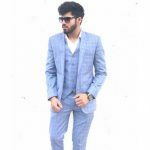 The Bollywood industry has witnessed some great horror movies which could completely horrify you in an extreme manner and have been really appreciated for the kind of stories and directions they have. 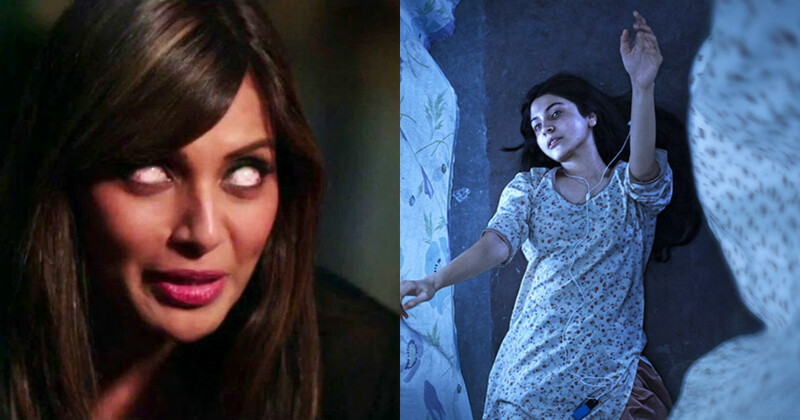 Some of the movies have been made in a unique manner with some great some really great attempt of the directors and producers of these films.Here are few Bollywood horror films which definitely won’t fail to horrify you. Bhool Bhulaiya is Bollywood comedy horror film directed by Priyadarshan and produced by Bhushan Kumar which released in the year 2007.The movie features Akshay Kumar, Vidya Balan, Ameesha Patel and Shiney Ahuja in the main roles.The movie was based on a Brahman family who lived in an ancestral palace which they believed was haunted by the ghost named Manjulika.Eventually, it was found that the ghost Manjulika was inside Avni(Vidya Balan) only who was the daughter in law of the Brahman family.The movie was one of the best horror films of the Bollywood and the ghost (Manjulika ) succeeds to horrify the audiences. 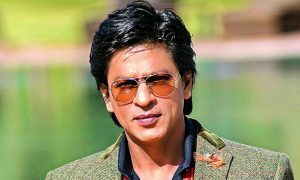 The movie turned out to be very successful commercially and got a great response from the critics. 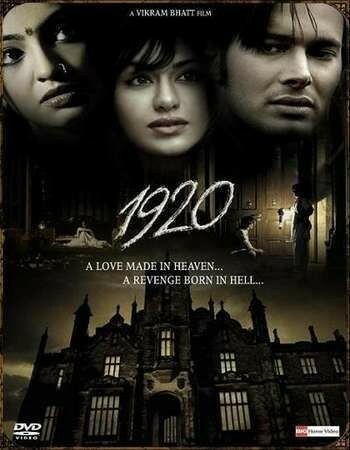 1920 is a Bollywood horror film directed by Vikram Bhatt and produced by Surendra Sharma,Bhagwati Gabrani and Amita Bishnoi which released in the year 2008.The film takes us back in the year 1920 which is based on a married couple who were living in a haunted house.The film features Rajneesh Duggal and Adah Sharma in the lead roles who made their debut in this film.Lisa(Adah Sharma) lives alone in the house as Arjun goes to Delhi on a business trip.Lisa faces many supernatural events and when she calls a priest, he tells her about the presence of an evil ghost in the mansion.1920 was a really successful horror movie and it succeeded to horrify the audiences.The film turned out to be successful commercially and received a positive approval from the critics. Raaz is a Bollywood horror film directed by Vikram Bhatt and produced by Mukesh Bhatt which released in the year 2002.The movie features Bipasha Basu and Dino Morea in the lead roles.The movie talks about a couple who had moved to Ooty, Their marriage life wasn’t stable and that was one of the reasons why they shifted in a new home.However, they found that the new home was haunted as they experience some supernatural tragedies.The movie is full of horrifying surprises and was one of the best films of the year 2002.The movie received a positive response from the critics and audiences and was commercially successful. 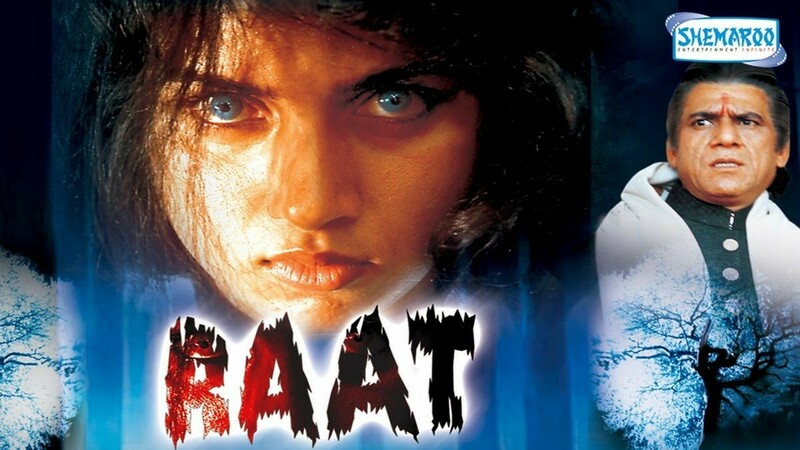 Raat is a Bollywood horror film directed by Ram Gopal Verma and produced by Ram Gopal Verma and Boney Kapoor which released in the year 1992.The movie features Revathi in the leading role.At first, the movie highlights a cat which was accidentally killed by Mini’s(Revathi’s father) after they shift into a house which was haunted.The look of the cat in the movie was very horrifying and also after the death, she appeared in many uncanny ways and shocked the family.Like the incident of the cat, many other horrifying incidents took place with the family and which succeeded in horrifying the audiences as well.The film was released in both Hindi and Telegu and turned out to be a commercial success. 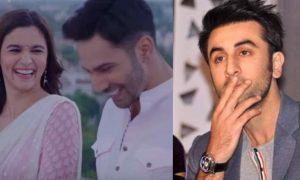 The critics approved the film with a positive response and were loved by the audiences. 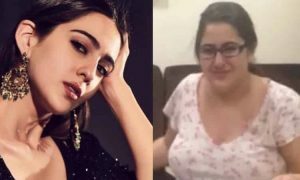 Ek Thi Daayan is a Bollywood horror film directed by Kannan Iyer and was produced by Ekta Kapoor, Shobha Kapoor, Vishal Bhardwaj and Rekha Bhardwaj which released in the year 2013.The movie features Emraan Hashmi, Huma Qureshi, Konkana Sen Sharma and Kalki Koechlin in the main roles.The movie revolves around a famous magician (Bejoy Charan Mathur also known as Bobo) and his hallucinations.The movie is based on a Daayan (witch) which enters into his life and also in the lives of his two children.The movie shows the struggle of this magician to get rid of the Daayan and save the lives of his children.The movie succeeded in horrifying the audiences with its breathtaking haunted scenes.The movie received a positive critic from the audiences and had a good amount of box office collections. Phoonk is a Bollywood horror film directed by Ram Gopal Verma and produced by Praveen Nischol.The movie was a success at the box office and succeeded to horrify the audiences with its amazing haunted story.The movie relates to the black magic and the religious superstitions.In the movie the daughter of a civil engineer Rajiv( Sudeep) who was also an atheist gets into the trap of black magic where the struggle of the family begins to cure her.The movie had some really horrifying scenes and there was also an announcement of a prize of 5 lakh rupees for those who watch the movie alone in the cinema hall.The movie turned out to be a hit horror film of the Bollywood industry with a good success at the box office.The movie received an overall thumbs up from the audiences and the critics. Shaapit is a Bollywood horror movie directed and produced by Vikram Bhatt which was released in the year 2010.The film features Aditya Narayan, Rahul Dev, Shweta Agarwal and Shubh Joshi in the lead roles.The story is based on the daughters of a family who had been carrying a curse from the past generations.The curse was connected to something evil and through the curse that evil used to kill the victims.Kaya(Shweta Agarwal) was carrying the same curse and in the movie, it was shown how Aman puts an effort to destroy that evil spirit.The movie also defines the power of love which helped the characters overcome the evil spirit.The movie turned out to be a very good Bollywood horror which haunts the audiences with its surprising horrifying scenes.The movie was a commercial success at the box office and received an overall good response from the critics and the audiences. Darna Mana Hai is a Bollywood anthology horror film directed by Prawaal Raman and produced by Ram Gopal Verma which released in the year 2003.The movie stars Saif Ali Khan, Vivek Oberoi, Aftab Shivdasani, Shilpa Shetty and few other famous celebrities.The movie included six different short stories and that was the unique part of the movie.In the movie, a group of friends get stuck in the forest due to their car’s break down.During that time each person in the group tells one horrifying and uncanny stories. Vastu Shastra is a Bollywood horror film directed by Saurabh Narang and produced by Ram Gopal Varma which was released in the year 2004.This movie was based on a family living in the suburbs of Mumbai where the son of Virag Rao(J.D Chakravarthy), and Jhilmil Rao(Sushmita Sen) starts making imaginary friends who were the ghosts in the house and were telling him to move out of the house and that’s the point from where the problem starts.The movie turned out to be commercially successful and received a positive response from the critics and the audiences. 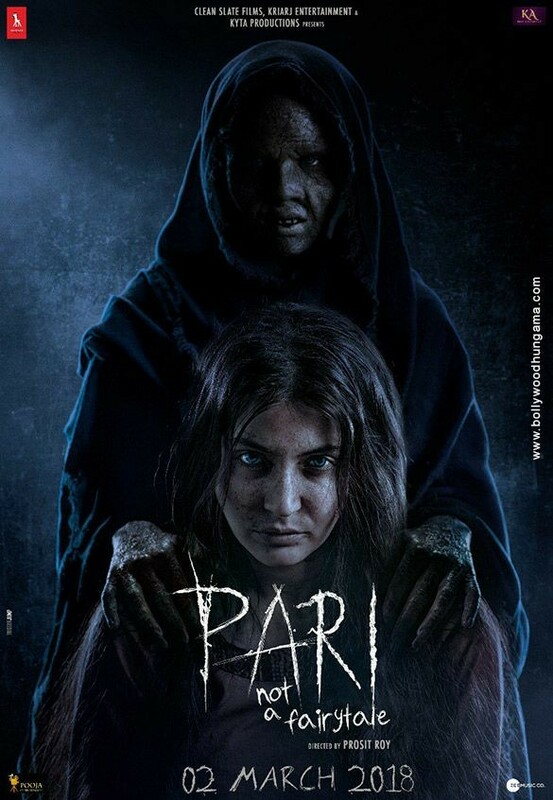 Pari is a Bollywood horror film directed by Prosit Roy and produced by Anushka Sharma and Parambrata Chatterjee which was released recently in the year 2018.The film features Anushka Sharma in the lead role.The movie is based on an evil birth cycle named ‘Ifrit’. 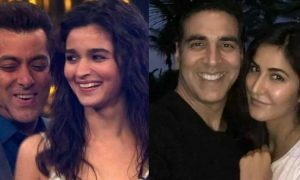 Ifrit was basically the evil spirit which used decent humans for the purpose of getting a new child of Ifrit in this world and increase the number of evils.Anushka Sharma is shown to be the daughter of Ifrit but instead of using the decent man shown in the movie(Prabratra) she actually falls in love with him.Anushka Sharma possesses some uncanny powers in this movie and her acting completely horrifies the audiences. 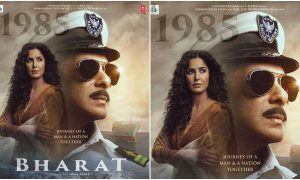 The movie is also being said one of the scariest movies of the Bollywood and received an overall positive response from the critics.